Wonderful Display of Urban Culture! What a great location! Love all the color and the light on the church steeple. The colors just POP here! Love this! FAV! BEAUTIFUL CAPTURE WONDERFUL WORK!!! love RjFxx Adding my LIKE now! stunning image and composition Henk. Cool shot -- reminds me of San Francisco! Wonderful contrast of architectural styles. Beautiful photo! 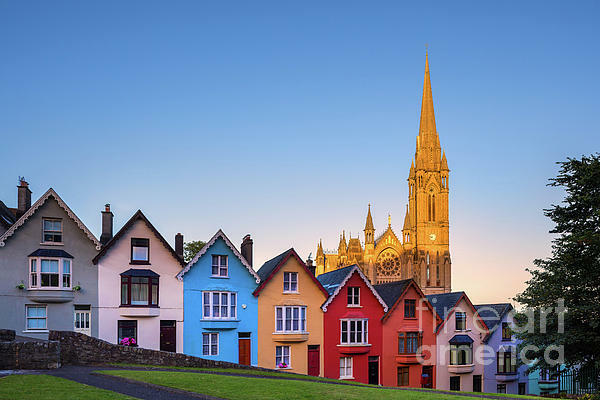 The Cathedral Church of St Colman, usually known as Cobh Cathedral, is a Roman Catholic cathedral in Cobh, Ireland. It is the cathedral church of the Diocese of Cloyne. 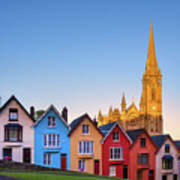 It overlooks Cork harbour from a prominent position. WHEN YOU BUY AN IMAGE THERE IS *NO* WATERMARK ON IT! Landscape, travel and city photographer, based in the Netherlands. 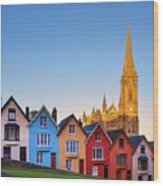 World wide publications in travel brochures, photo magazines, advertisements, flyers, high glossy magazines, book and cd covers, post and greeting cards, calenders, newspapers, tv displays and many more. I'm only shooting in RAW with professional Canon camera's and using Canon L lenses for highest quality. Please contact me here or through my web site if you have any questions or requests on images that you not see here but you have seen on any other web site from me.